It has been three-year since the $787 billion bill (American Recovery and Reinvestment Act[ARRA]) was signed by President Obama in February 2009. So, how much do American know about the effect it had yanking America out of the worse recession since the great depression? Well, that depends on who you ask. If you asked disgruntled economists like Paul Krugman and a minority of economists, they will tell you the sky is falling and continue to remain unimpressed with the spending bill’s economic effects. But, one thing is clear. 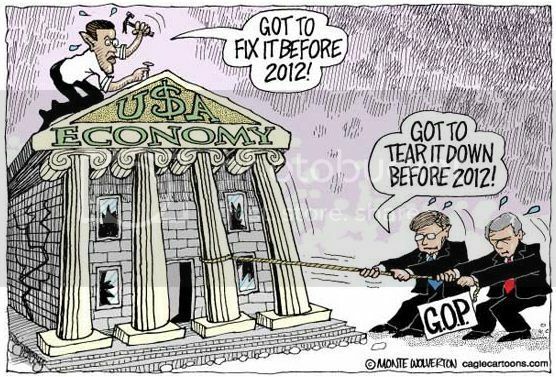 According to the survey of a 40 member economists from a range of U.S. universities, 80% of the surveyed economists believe the stimulus has avoided higher unemployment where without it, it would have increased at the end of 2010 while 4% disagreed with that assertion. the trajectory of the economy changed significantly. Real GDP began to grow steadily starting in the third quarter of 2009.
the ARRA has raised the level of GDP as of the second quarter of 2011, relative to what it otherwise would have been, by between 2.0 and 2.9 percent. as of the second quarter of 2011, the ARRA has raised employment relative to what it otherwise would have been by between 2.2 and 4.2 million. Mean while, it is important to note the fact that ARRA is a stimulus package and over time the effect of it will subside as it should because, the purpose of the stimulus is to stimulate the economy in the short-term to start the engines of business and according to a long list of its accomplishment, it is fair to say it has done its job. 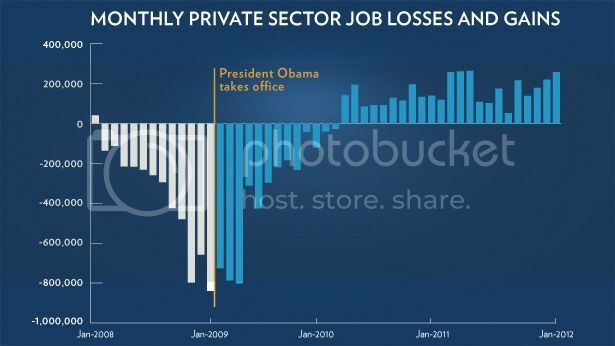 However, President Obama did not just relied on the ARRA stimulus package to get the economy going. He has systematically done what some economists were taunting him for not doing to move the economy out of recession. Ezra Klein asks in his recent article, "How much stimulus did we actually pass?" and the answer is that President Obama has spent close to $1.7 trillion against many odds and no support from Republicans. Add the payroll tax cuts, the extension of the Bush tax cuts till 2012, extensions of unemployment benefits, plus first-time homebuyer’s tax credits and $150 billion payroll tax deal just passed in the Senate just yesterday, we can easily say the President has cornered Congress to do what they said they won't and that was spend more stimulus money on the economy. So I’d say a reasonable range for the amount of stimulus we actually passed is between $1 trillion, if you use a narrow definition of stimulus and remove measures like the AMT patch that were called stimulus but weren’t actually stimulus, and $1.7 trillion, if you want to use the most expansive definition possible and also include every policy passed to keep taxes low. As a result this is what President Obama's leadership has produced while some hate to face facts. I say four more years...four more years...four more years because President Obama really cares for America and want the playing field balanced. He still has so many unfinished business to change America for the better and we must give him the time to let him fulfill his promises. If the economy is any indication, America is moving in the right direction with President Barack Obama.